7.5-year-old: I got bored and Googled my name. Me: Oh yeah, what did you find? 7.5 Y.O. : Just a picture of an old man with my name, so, I know what my future is going to look like now. What have your kids said or done this week that made you laugh? I know there are times you feel like your skills could be better used elsewhere, but What You Do Is Not Small. I know you may feel invisible some days, lost in piles of laundry and mountains of dishes, in the stacks of homework and bills, and in the bedtime routines that flow seamlessly into early morning wake up calls. But your efforts are seen by the One who created you. YOU are seen by the One who created you. I know you sometimes see the success of others and feel fear that you’re missing out- that what you’re doing is unimpressive and falling short of your capabilities. But your impact within your own four walls Is Not Small. I know there are a thousand unnoticed tasks a day that are accomplished when no one else is looking. I know that no one you are serving really knows the extent of what you do in your many, many waking hours. I know that you often give more than you get. As some of you may or may not know, aside from being a stay-at-home mom and blogger, I am also a nurse. When deciding what life was to be like after Baby #2’s arrival, I was informed that part-time wasn’t an option within my company. In my particular position I was no stranger to 40 to 50+ hour work weeks at times with a great deal of travel during my days. The relationships I was able to build with my patients were rewarding but I knew the relationships I could be building with my children were where my purpose lied. 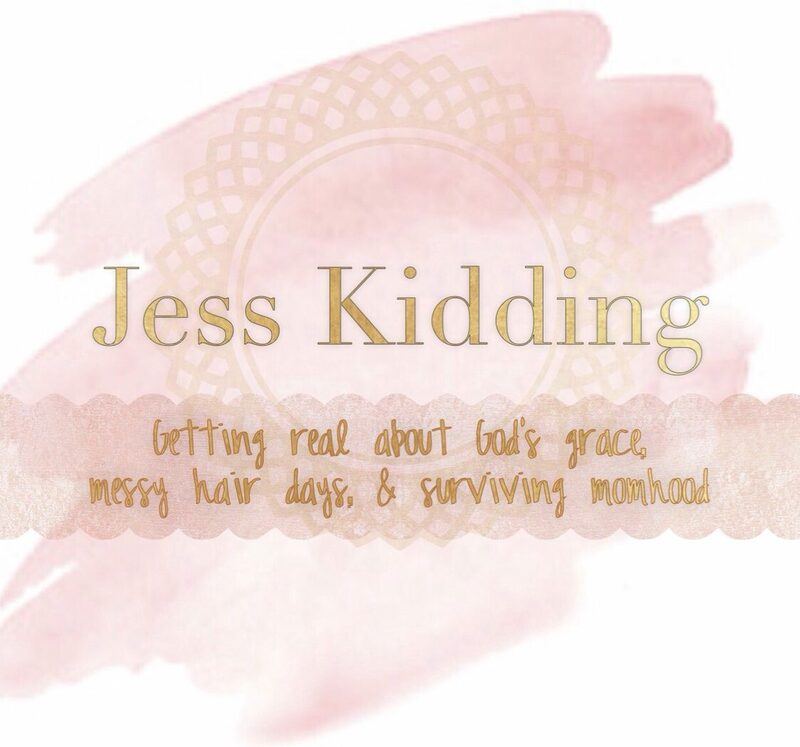 With much prayer and the support of my (really awesome) husband, I made the leap into SAHM-hood. In many ways it’s been one of the most rewarding years of my life. I’ve seen my children grow and had so many great experiences with them that we wouldn’t have shared if I were spending my long days away from our home. There are so many benefits to being in my position for which I’m deeply grateful, but in my quiet moments there have been times I’ve wondered if my other skills were being wasted. If you have ever wondered the same, know this: life is made up of seasons. There was a season I worked as a nurse when I learned I’m tougher (and softer) than I ever seemed. And now I am living in a season when I am able to focus fully on my family and I am learning that being a strong woman is not one dimensional. Strength comes in so many different forms for different people. I know the Bible talks about milk and honey being pretty great, but have you ever finished a hot coffee before your kids woke up for the day? Coffee is one of the first things on my mind in the morning, and I like it a certain way: spoon full of sugar, enough creamer to make it just the right color, and piping hot. More often than not however, the day pulls me in different directions before making it too far into my favorite mug, and it ends up reaching room temperature before I can satisfy my caffeine craving. I end up popping it in the microwave once or twice (or five times) before I finally finish my cup and go about my day. But I always heat it up. There is just something about sipping lukewarm coffee that furrows my brow and turns me away. Lukewarm just isn’t enough. It isn’t enough for me in the mornings, and it isn’t enough for God. Have you ever felt lukewarm? A need arises within your small group from church, and you fill it. But you catch your older child disobeying and you snap at him. You volunteer in the children’s ministries on Sunday morning. But you indulge in trashy TV on Monday night. It’s easy to do- to see our good deeds and believe it’s enough, or that it justifies the decisions we make that don’t quite line up with scripture. God created us and knows our humanness. He doesn’t expect perfection, but I do believe He intends for our motives to matter as we strive to live a God-filled life. See, being a lukewarm Christian doesn’t just turn away opportunities for us to grow closer to God. Being lukewarm can turn others away from us, or worse yet, away from the Lord. Keeping alive that fire in your heart for Christ matters! Your temperature affects everything you touch. There’s no room in our lives to hear and believe everything God says but then live how we lived before we knew His truth. If God’s way is hot and our old ways are cold, then guess what that would make us? Lukewarm. Sometimes intentional sin can cause us to become that way- like dropping ice cubes in your hot coffee. But sometimes it’s not always willful acts that put the chill on our souls. Sometimes it’s just leaving our mug on the counter and getting distracted. Whether you’re putting ice cubes in your “spiritual” coffee, getting distracted from that coffee, or just plain getting your real life coffee dumped on you by your wild little toddler, I have no doubt that God is working in you. As you gauge whether your motives and your soul are cold, or hot, or somewhere in between, know what God desires of you: He wants to be your priority, and for your soul to be on fire for Him and Him alone! 1. What in my life is putting the chill on my soul and my desire for God? Is it a social media addiction? A difficult child or relationship that is stealing your peace or focus? A friend that encourages ungodly talk or behavior? Your choice in indulgences (TV, movies, books)? 2. What sets my soul on fire and nurtures my relationship with God? Regular Bible time, or regular time in prayer? Reprogramming every car preset to Christian radio? Building a relationship with a Christian friend? Joining a small Bible study group? Praying about what worries you rather than just talking about it? Deleting an app that distracts you from spending time in prayer or has ungodly content? P.S. Is there anything you can add to the lists above? Share your thoughts! The outside of my house, if you can see it, gives the impression that we grabbed only our most precious belongings and fled in a hurry with no intention to ever return. See, since the birth of my tiny princess last summer, some things have been neglected around here. Landscaping is a pretty easy thing to put off to the back of your mind. It doesn’t fall out of the cabinets when you open them. It doesn’t clutter your countertops when you’re trying to work. You don’t trip over it when you’re trying to walk to the bathroom in the middle of the night. There are just other things that come before getting to it, and by the time I get to those other things I have one of two kids making a bee line for me, and alas! The landscaping waits. As the state of things has gotten unruly enough to catch my attention, I decided to enlist the help of a green thumbed friend of mine. She asked for pictures so I went around the house snapping away, surprised at every turn just how wild it had really become. It became apparent that when I let this task get away from me it didn’t just affect the things that were already planted- but new, unwanted things had begun to grow. Tangled. Messy. Wild. Out of control. All words I’d use to describe the overgrown mess just beyond my front door. There are plants growing from between the branches of other plants; the wanted and the unwanted twisting around each other until the untrained eye is unable to decipher where one begins and the other ends. Complicated. The truth is though, if I look behind my front door and in the mirror, sometimes things look messy there, too. When I neglect my time with God and am not careful where my thoughts are running off to I get twisted up, tangled, complicated. Negative thoughts sprout from the good and take on new life. The good and the kinda/sorta bad things that I start letting my guard down to get intertwined. Half truths I start to tell myself become whole lies. And before you know it, I’m struggling to feel connected to the One I can’t live without. We can take down the obstacles that keep us from connecting with God by taking captive every thought and making it obedient to Christ. From good thoughts flow good actions, right? So that means that from bad thoughts…. You get it. Sometimes I catch myself thinking “is this really that bad? There are worse things….” and talking myself into the gray area of sin. But when I catch my thoughts and hold them up to the Truth to compare, right and wrong become more apparent. The thing is- I can only do this by knowing- REALLY knowing- God’s word. And that can only be accomplished by dedicating time to be spent with God and His Word on a regular basis. Maintenance. Pruning. Trimming away the unwanted, making room for the good to grow. It’s a snowball effect- a tower of building blocks. When you add perseverance, godliness grows, and mutual affection, and the golden virtue- love. It doesn’t work the other way around. You can’t get caught in the thinking that you can control your thoughts or actions without laying down the groundwork of faith, goodness, and knowledge first. It’s a lot to realize there are other factors that control our actions behind the scenes. But knowing how to get to the root of these things makes it possible to part the messy vines and start to see what’s growing underneath. It makes it possible to see how the Holy Spirit can work within us when we cling to our connection with God regularly– and it can lead us toward squashing bad habits and changing behaviors. We can’t do it alone, and we can’t do it casually- it takes perseverance. So before my neighbors try to machete their way to my house to check on us, I’m going to go and get on the landscaping. And while I’m at it, I’m going to work on a little mind and soul maintenance, too- trimming away, and making room for the good to grow. “Well, I can add changing a diaper in a princess castle to my list of things I never thought I’d do,” I thought. I looked around at the flower-clad walls and down the purple tunnel. I looked behind me at the demolished bag of chips my toddler had stolen from the pantry, with its thin plastic folded and wrinkled every which way. I mentally accepted all these things as normal and thought briefly about scanning the classifieds for a nice used minivan. “I will not do the stick figure family stickers on the back though….. or maybe. Whatever, I won’t rule it out,” I thought. There are a lot of normal things in my life these days I never thought I’d find myself doing. And I certainly never thought I would be writing a faith based blog. But here I am. And in some remote corner of the world I imagine pigs are probably coming in for a landing. So today, know this: God changes things. He changes the hearts of His people. We always think of Jesus as being perfect- and he was– but have you ever stopped to realize that he was so radically different from the norm of his day that he was actually considered a “rebel”? Needless to say, the first time I came across this line, I connected. If Jesus was a rebel, he could know and understand my own rebellious heart. If he could navigate life as an outsider, he could teach me how to walk the less traveled path I’m meant to walk. And if Jesus was a rebel, he could show me how to be rebellious in a different way. These days my idea of rebellion comes largely in the form of saying no to friends, situations, and world views that are widely accepted but are misaligned with God’s truth. Rebellion doesn’t always have to be loud and intrusive. Sometimes rebellion looks like teaching Sunday school, or packing your husband’s lunch. Sometimes it’s zipping the lip instead of sharing the details of someone else’s personal business, or offering to help even when it doesn’t fit into your schedule. Sometimes rebellion looks like scattered Lego’s, purple princess castles, and a quiet life- lived well in the light of God’s grace.